Royalty: Romania and Russia and Portugal. 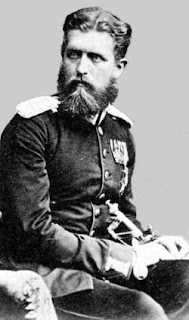 There is a small link between the Russian Imperial Family and the Romanian Royal Family. They are related, as with many of the royal houses, to each other. There is more to the history of Romania than many people would imagine, and one of them is the links between the Royal Families. 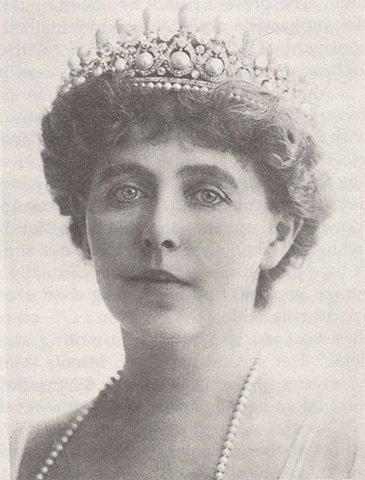 Most people know of Queen Marie of Romania's links to the British Royal Family, but many might not know of the other two countries with royal links. Here is a rough guide to the links of Russia, Romania and Portugal. Queen Marie of Romania is the major link, with her grandfather being Tsar Alexander II of Russia, and her mother a Grand Duchess in her own right. Looking back for more links, there is another. King Carol I of Romania, who was the first King of Romania, was related to the royal houses of Sweden, Baden, Bavaria and Russia through his maternal grandfather. Empress Louise of Russia, whose husband was Tsar Alexander I, would have no surviving children. Carol I's mother was Princess Josephine of Baden, and through her eldest son, there is a link to the remaining members of the Romania Royal family but not through Carol I. This King would have no surviving children, as his only child, Marie would die at the age of three. Because of this, the direct links to the Romanian Royal Family, as it is today, comes from Queen Marie of Romania. Her husband, King Ferdinand also had links to Russia, and these are much loser than the other two. However, this is where the more direct links to the Portuguese Royal Family comes in. His mother was Infanta Antonia of Portugal. Her parents were King Ferdinand II of Portugal, born a prince of Saxe-Coburg and Gotha (who is related in kinship to many of the other royal families of Europe) and Queen Marie II of Portugal. King Ferdinand's paternal grandmother Josephine of Baden's daughter would also marry in the Portuguese royal family, becoming Queen Stephanie of Portugal, but she died without children. Antonia would have four children. Carol I was the second eldest, and his older brother Leopold second son would become Ferdinand I of Romania. Because King Ferdinand of Romania was of the Roman Catholic faith, Queen Marie of Romania lost her place in the British line of succession. It is very interesting to note that the Romania Kings before Carol II of Romania were both Roman Catholics. The links between Romania, Russia and Portugal are fasinating.